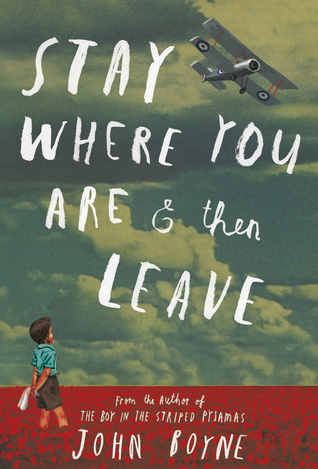 I don't often read books from the perspective of very young kids, because sometimes I have a hard time getting into something written from that angle, but Stay Where You Are And Then Leave does an excellent job at crafting Alfie's voice in a way that is authentic to his age, but still compelling for older readers. This is a touching story of a boy thrust far too early into being the "man of the house" when his father goes away to fight in WWI. Through Alfie, we get a real look at what life was like for a young family back then. Alfie may not understand everything that's going on, but adult or older readers will understand many events at a much deeper level. In its round-about way, the book addresses things like racism/xenophobia, sexism, mental health, pacifism, and the general political landscape at the time. It is a good book to start discussions with your young readers -- why do people in the book laugh when a girl suggests she could be Prime Minister? how are things different now, with the way we treat returning soldiers? what about people who don't want to fight? -- and could be a good jumping off point for them to want to read more. Reading this book as an adult, I felt like things were maybe a bit too simplistic or idealistic, but then again, I'm not the target audience. Thinking about reading this book as an earlier reader, I probably really would have enjoyed it -- and also, knowing myself, I would have wanted to learn more, too. I think this book is technically middle grade, but would probably work well for readers on the cusp between MG and YA, or for more sensitive readers in general. It is a book about war but except for some unnerving scenes in the hospital, there is very little about it that could be considered graphic or too scary. Ooh, I will have to add that one to my to-read list! This does sound like a lovely read. It's sometimes hard to remember that when something is simplistic in a younger aged novel that it's okay. I really do love reading from a younger perspective every now and then. It breaks up the monotony.